This February, Disney’s cherished animated classic, Lady and the Tramp join the highly celebrated Walt Disney Signature Collection. Every member of the family will treasure this timeless tale—loaded with three versions of the film, classic bonus material and three all-new features—when it heads home on Digital and on Movie Anywhere Feb. 20 and on Blu-ray on Feb. 27. 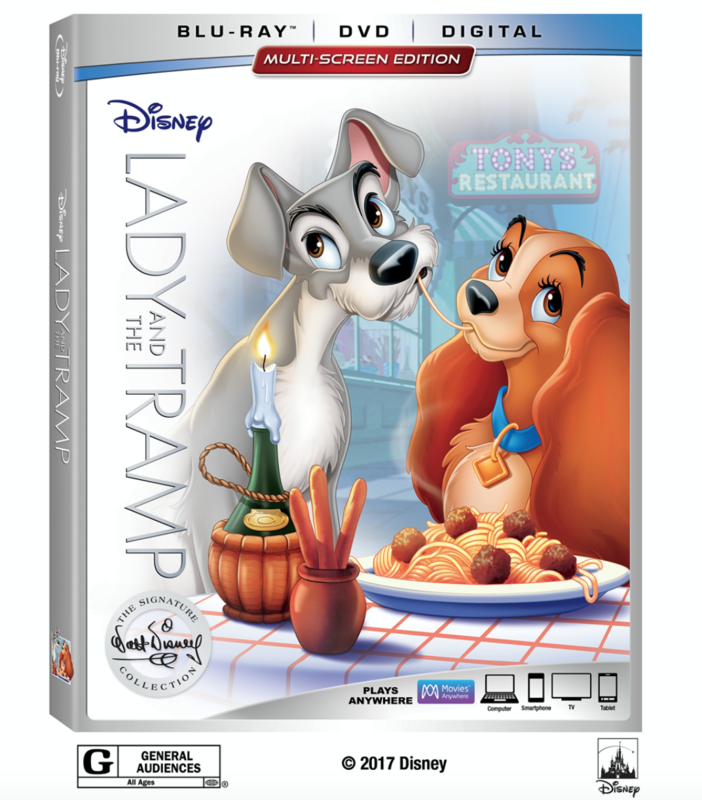 Lady and the Tramp join the Walt Disney Signature Collection, which includes groundbreaking films created or inspired by the imagination and legacy of Walt Disney, featuring timeless stories and characters that have touched generations. The film takes its place alongside Snow White and the Seven Dwarfs, Beauty and the Beast, Pinocchio, Bambi and The Lion King. TNM Thoughts: Unfortunately, this is just another re-release of an existing film and not something new to Blu-ray. It adds a couple special features. It might not be worth upgrading, but if you haven’t purchased yet, then it looks to be a fine addition to your collection. For those packaging nerds, Target is continuing their Storybook editions and Best Buy will be having a Steelbook® of course.